Chips and salsa are great, but chips and salsa al fresco are even better. 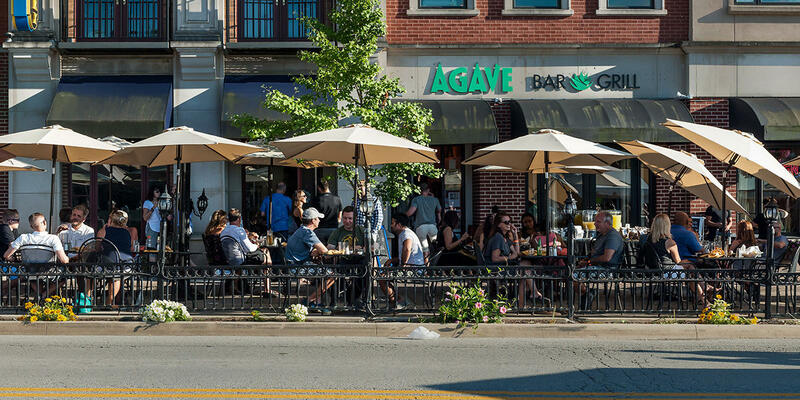 Wash it down with a salt-rimmed margarita at Agave Bar and Grill, a family-owned business in downtown Carmel. Stroll through the Arts & Design District to burn off your meal. 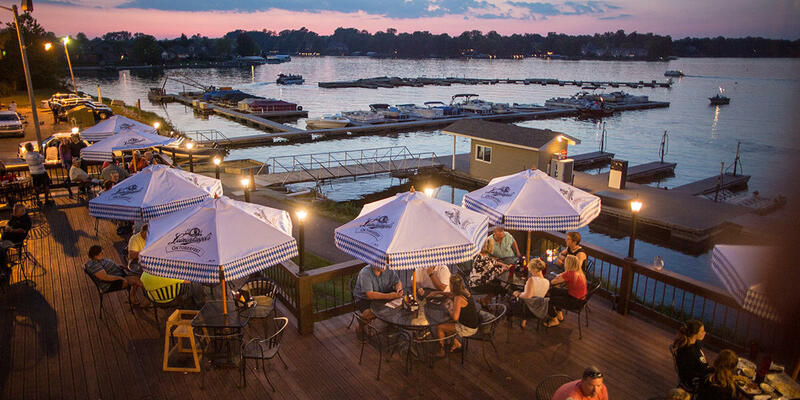 Cicero’s newest eatery is located on the waterfront of Morse Reservoir. The nautical theme is found throughout the Boathouse with vintage photographs of locals water skiing and swimming (not to mention a swan dive statue over the bar). Snap a photo of the sunset with drink in hand. 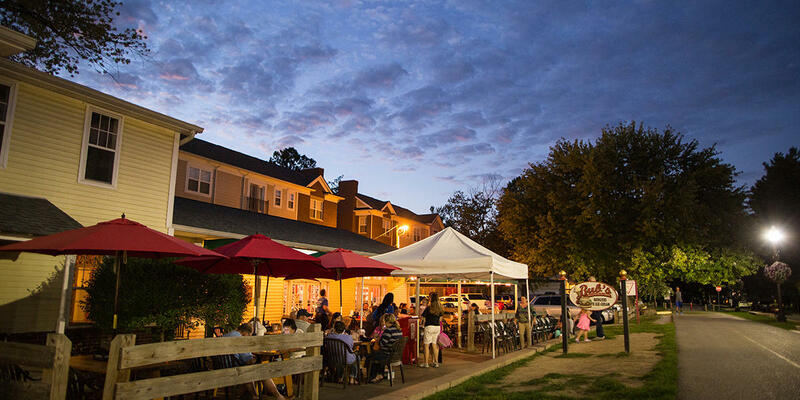 Bub’s Burgers & Ice Cream is right on the Monon Trail for easy access for pedestrians and bicyclists and sitting outside gets you a front row seat for watching the action on the trail. No worries if you work up a big appetite on the way; the Big Ugly burger is a full pound of meat. Eat it all and you get your picture on the wall of fame, where it belongs. Countless online reviews have hailed this as the “best sushi in Central Indiana.” Everything on the menu at Chiba is made from scratch, including the sushi rice and sauces. Enjoy a California roll and sake on the patio which features a stage for local bands and musicians to perform. 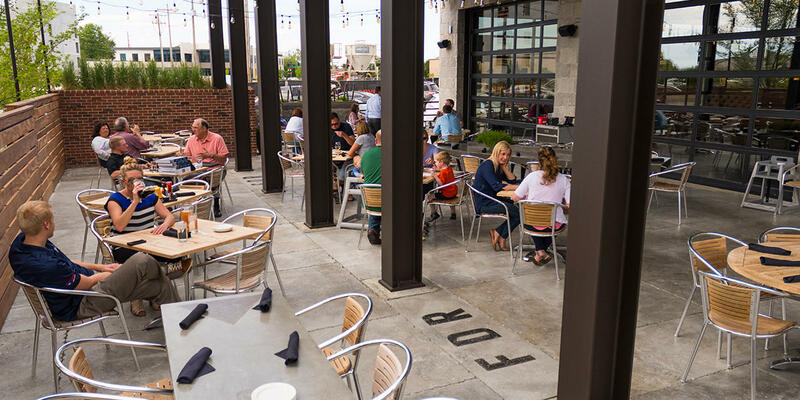 In Fishers’ Nickel Plate District, pick a pint at Four Day Ray Brewing and take it outside to the dog-friendly patio with a fire pit. Order a round of apps for the table, like the popular pretzel & beer cheese. Located at what used to be a truck stop decades ago, Mercantile 37 features artisan goods from more than 50 Hoosier makers. 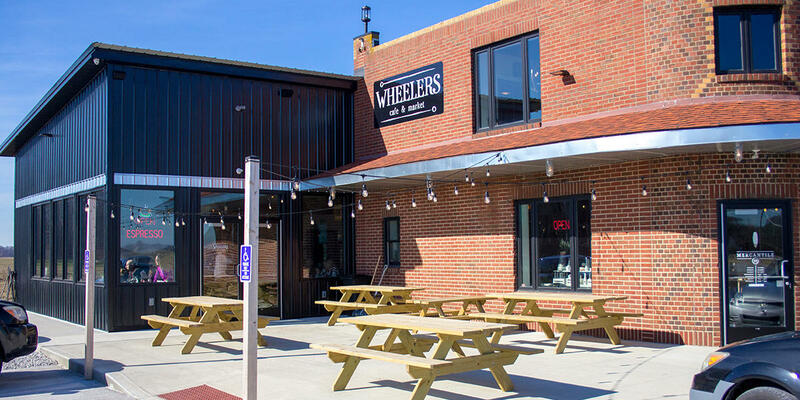 Grab a bite to eat while you’re there at the adjacent Wheeler’s Café, serving breakfast and lunch. It’s hard to miss the bright red barn on Park Street in Westfield. 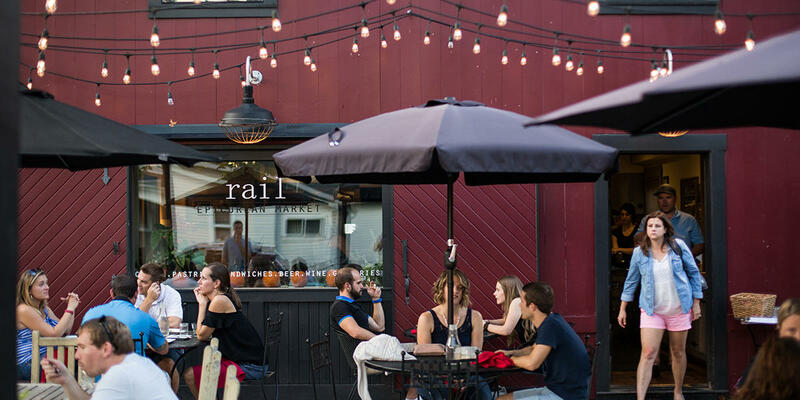 Sit outside at Rail Restaurant & Bar to feast on a farm-to-table meal under swoon-worthy string lights. 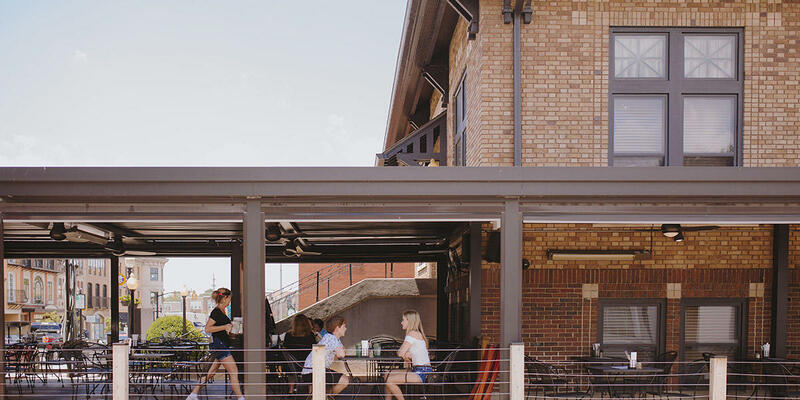 If the weather is warm, it’s likely that the patio at Union Brewing Company is full. 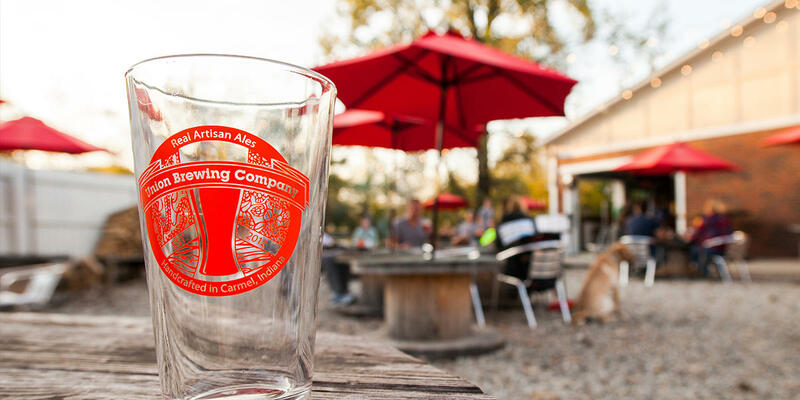 Many bicyclists hop off the Monon Trail to enjoy a pint by the firepits and listen to local music. Hungry? Stop by Jamaican Reggae Grill next door for a jerk chicken sandwich. 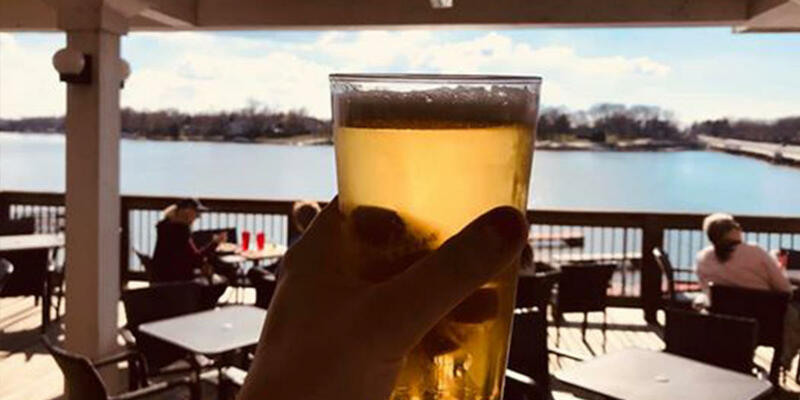 Watch the sunset at Wolfies Grill in Noblesville with gorgeous views of the water from the deck. 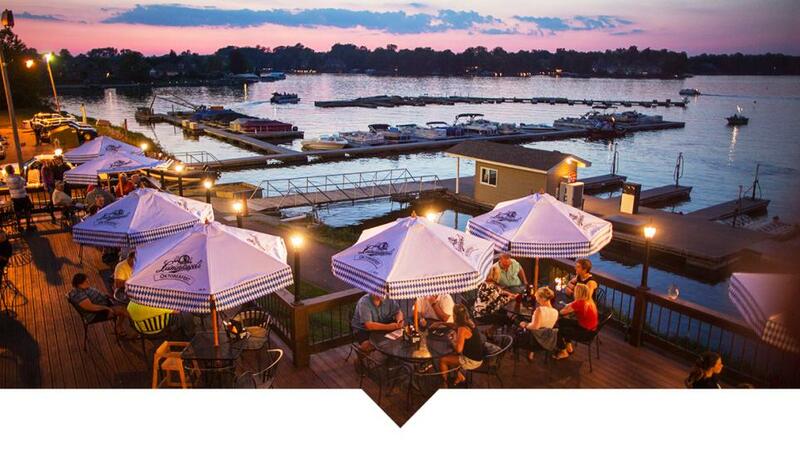 It&apos;s easy to see why this is a popular place to eat in the summertime. Order a craft cocktail like the Cucumber Smash or The Captain&apos;s Runner. You’ll have to dine inside to see the building’s history as a Carnegie library, but the patio at Woodys Library Restaurant is where most patrons sit on a warm, breezy day. It’s open until 3 a.m. on weekends, making it the perfect spot to hang out late. 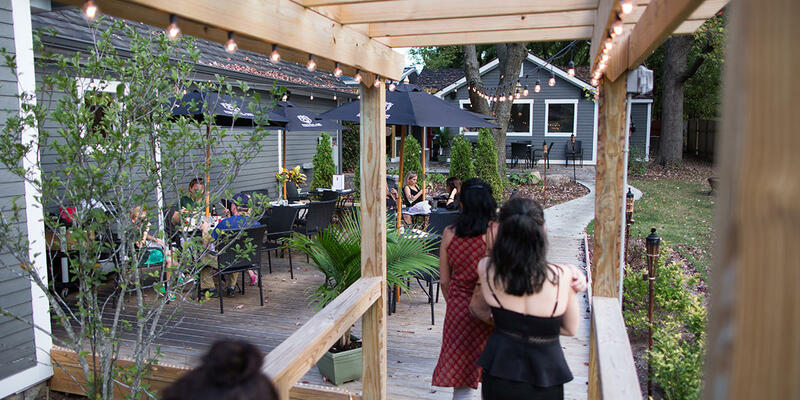 For a full list of places with patios in Hamilton County, check out our outdoor dining list.